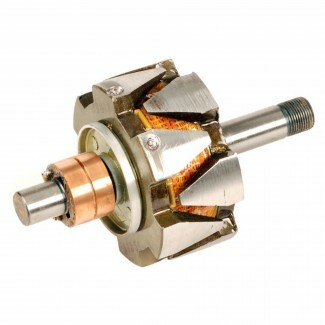 The Rotor is also known as the rotating magnetic core, or Flywheel, of an Alternator. Rotors are the moving part in an Alternator that have permanent magnets that move around the Stator’s iron plates to generate an Alternating Current (AC). Rotors require existing motion to function, so only once the engine or turbine is already running will a Rotor work with a Stator to provide a charge. Inspection Cameras can be used by maintenance technicians to ensure that the Alternator and its two main components are in good working condition.